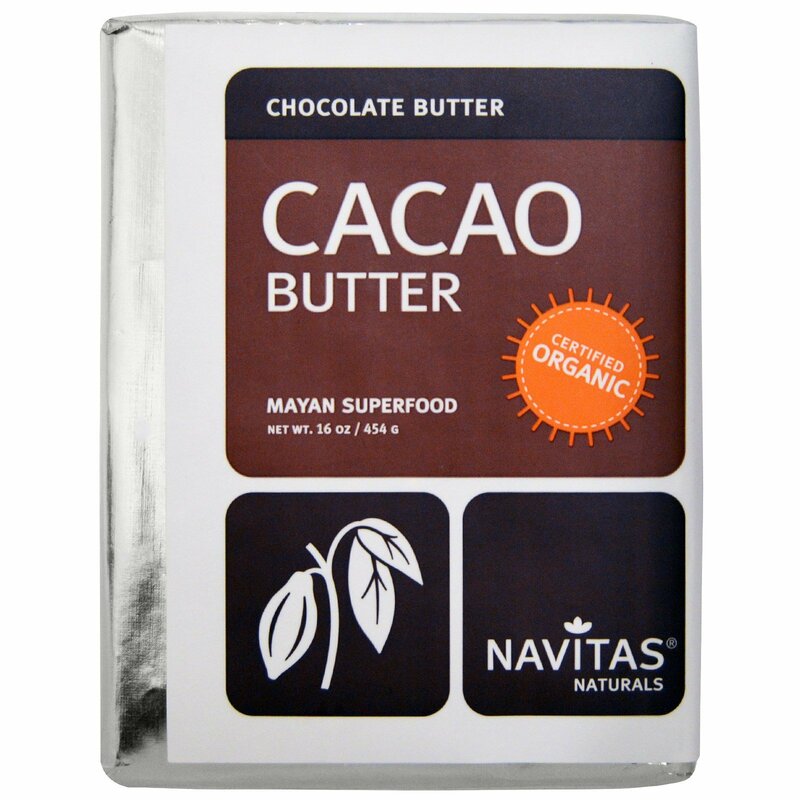 Cacao has been enjoyed for its healthful and invigorating properties in South American cultures for thousands of years. 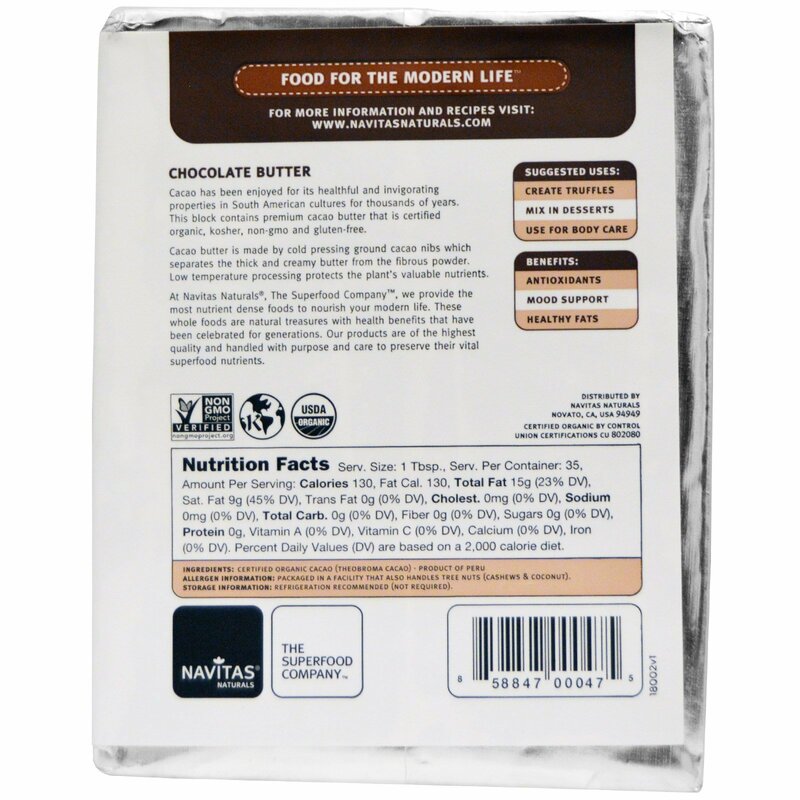 This block contains premium cacao butter that is certified organic, kosher, non-gmo and gluten-free. Cacao butter is made by cold pressing ground cacao nibs which separates the thick and creamy butter from the fibrous powder. Low temperature processing the plant's valuable nutrients. Allergen Information: Packaged in a facility that also handles tree nuts (cashews & coconut). Storage Information: Refrigeration recommended (not required).